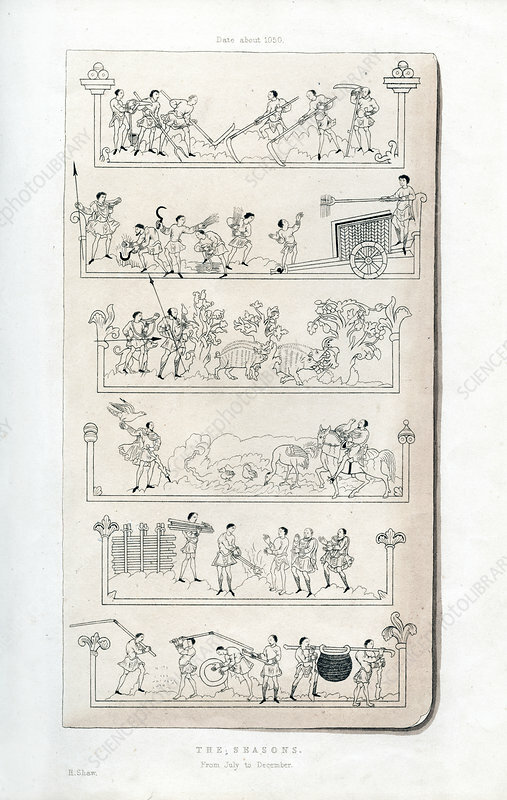 The Seasons, c1050, (1843). Copy of a manuscript showing agricultural occupations from July to December. July, mowing and making hay; August, reaping; September, hunting; October, hawking; November, fires and keeping warm; December, threshing and winnowing. Illustration from Dresses and Decorations of the Middle Ages from the Seventh to the Seventeenth Centuries, by Henry Shaw, (London, 1843). Artist: Henry Shaw.